CREDO: An Anthology of Manifestos and Sourcebook for Creative Writing. Eds. Rita Banerjee and Diana Norma Szokolyai. Winston-Salem, NC: C&R Press, May 2018. 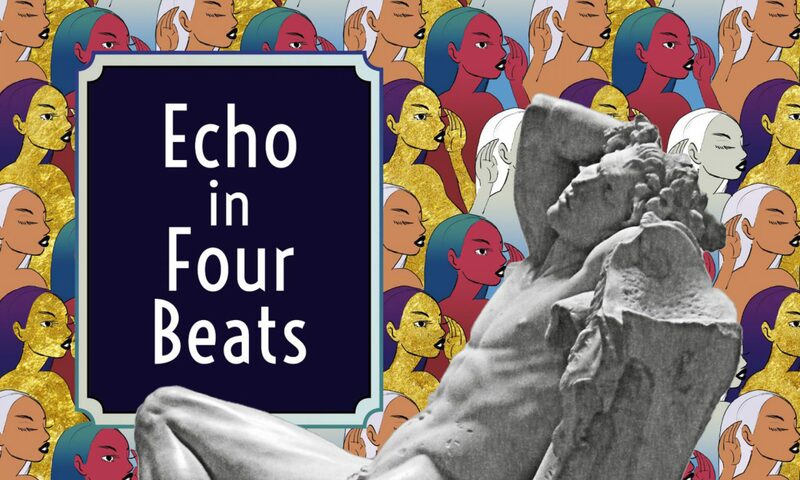 Echo in Four Beats (poetry debut). Georgetown, KT: Finishing Line Press, March 9, 2018. A Night with Kali (novella). Approaching Footsteps: Four Novellas by Women. Ed. Patricia Flaherty Pagan. Houston, TX: Spider Road Press, November 2016. Cracklers at Night (poetry chapbook). Georgetown, KT: Finishing Line Press, 2010. Burning Down the Louvre. dir. Rita Banerjee and David Shields. Documentary Film. Forthcoming: April 2019. The New Voyager: Theory and Practice of South Asian Literary Modernisms. Harvard University, Dissertation. Cambridge, MA: ProQuest, 2013. “Birth of Cool.” Hunger Mountain. Montpelier, VT: Spring 2019. “Credo.” CREDO: An Anthology of Manifestos and Sourcebook for Creative Writing. Eds. Rita Banerjee and Diana Norma Szokolyai. Winston-Salem, NC: C&R Press, May 2018. “Emotion & Suspense in Theatre, Poetry, and (Non)Fiction.” CREDO: An Anthology of Manifestos and Sourcebook for Creative Writing. Eds. Rita Banerjee and Diana Norma Szokolyai. Winston-Salem, NC: C&R Press, May 2018. “James Baldwin’s The Devil Finds Work.” The Scofield (Issue 3.1: Kōbō Abe & Home) Online. Winter 2018. “Mano a Mano.” Nat. Brut. (Issue 9). Online. November 2017. 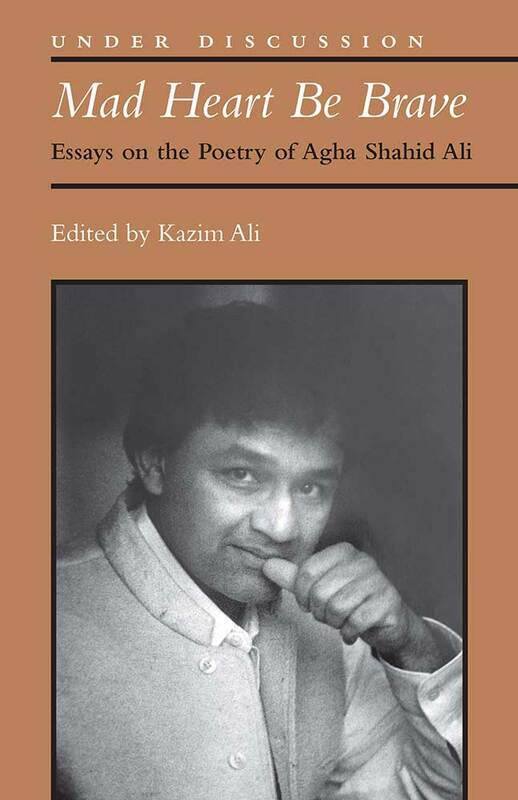 “Between Post-Independence and the Cold War: Agha Shahid Ali’s Publications with the Calcutta Writers Workshop.” Mad Heart Be Brave: Essays on the Poetry of Agha Shahid Ali. Ed. Kazim Ali. Ann Arbor: University of Michigan Press, May 2017. “The Rumpus Interview with Erik Kennedy.” The Rumpus. Online. February 2017. “Writing from the Fringe: Cultivating Writing Communities on Retreats and Abroad.” WC&C Quarterly. Ed. Kenny Lakes. Online: AWP, February 2017. 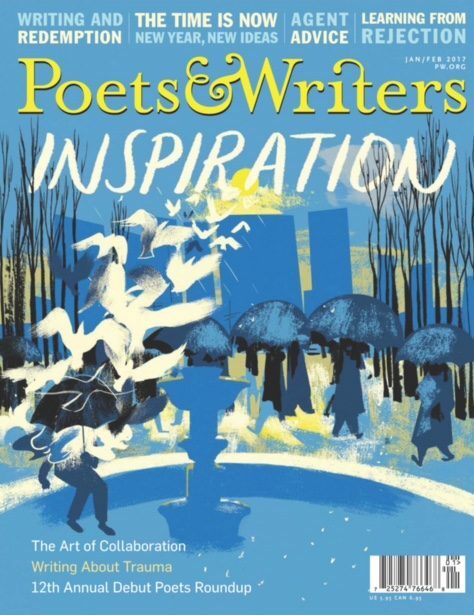 “Emotion and Suspense: The Essence of Rasa Theory.” Poets & Writers: The Inspiration Issue. New York, NY: January/February 2017. “Narrative as Provocation.” Los Angeles Review of Books. Los Angeles, CA: May 2016. “Amrita Pritam: Sexual Politics and Publishing in Mid-20th Century India.” VIDA: Women in Literary Arts. Online. February 2016. 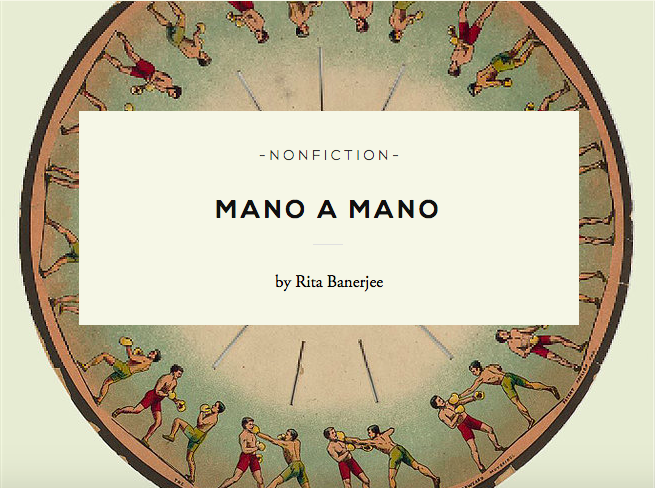 “Calcutta, Marwaris, and the World of Hindi Letters.” Dissertation Reviews. Online. January 2016. “War is Beautiful: An Interview with David Shields.” Electric Literature. Brooklyn, NY: November 2015. “Paging Ms. Marvel: The Perks and Perils of Creating an Islamic, Feminist Superhero.” Jaggery: A DesiLit Arts and Literature Journal. Chicago: Summer 2014. “Review of Kazim Ali’s Fasting for Ramadan.” Jaggery: A DesiLit Arts and Literature Journal. Chicago: Fall 2013. “Āj Āmār Sonār Bānglā: Giving Voice to Modern Bengali Culture Today.” Bengali Newsletter. Watertown, MA: Fall 2009. “Getting that First Book Published.” NJ Society of Professional Journalists. Online. Spring 2002. “Darling Marie.” Queen Mob’s Tea House. Online. March 2016. “In Perfect Focus.” Objet d’Art. New Brunswick, NJ: 2002. “RSF Bookclub: Rita Banerjee’s Echo in Four Beats.” Ruth Stone Foundation Podcast. Online. Spring 2019. “One Night.” Tahoma Literary Review. Online. December 2018. “Bon Mot feat. Rita Banerjee.” Goddard Community College Radio. 91.1 / 97.1 FM Vermont. November 11, 2018. “Sleep.” Academy of American Poets: Poem-a-Day. Online. November 30, 2017. “Rooms are Never Finished: The Legacy of Agha Shahid Ali.” Narr. Kazim Ali. Poets House. New York: April 21, 2017. “Episode 27: Suicides and Skeleton Jazz.” Narr. Kathleen Volk Miller et al. Painted Bride Quarterly’s Slushpile. Philadelphia, PA: February 9, 2017. “I Think You’re Totally Wrong: A Quarrel feat. David Shields and Charles Recoursé.” Narr. Rita Banerjee. Shakespeare and Company. Paris: July 23, 2015. “Cambridge Writers’ Workshop Literary Cabaret feat. Rita Banerjee, Diana Norma Szokolyai, Gregory Crosby, and Leah Umansky.” Emergency INDEX Vol2: Documenting Performance Annually. Eds. Yelena Gluzman and Sophia Cleary. Brooklyn, NY: Ugly Duckling Presse, 2012. “Rita Banerjee: Cracklers at Night.” Narr. Kushlani de Soyza. APA Compass. KBOO Radio. Portland, OR: May 6, 2011. “Paper Men.” Hearsay, Volume 1. Ed. Reid Bingham. New Brunswick, NJ: Hearsay Records, 2004. “Georgia Brown,” and “The Suicide Rag.” Painted Bride Quarterly, Issue 97, Print Annual 9. Philadelphia, PA: Summer 2018. “Ilha Formosa.” Hyphen Magazine. Online. March 2017. “Chicago Ode.” Mass Poetry: Poem of the Month. Online. October 2016. “Birds on Blue.” Queen Mob’s Tea House. Online. March 2016. “Please Listen and Do Not Return” and “Storyteller.“ The Monarch Review. Seattle, WA: September 2015. “Pygmalion & the Slippers” and “Currency.” Riot Grrrl Magazine. Online. August 2015. “Romani Folk Poem,” “Kaddish,” and “A Hymn to Beauty.” Quail Bell Magazine. Falls Church, VA: Spring 2015. “Who Lamb.” Quail Bell Magazine. Falls Church, VA: Winter 2014. “America Ode.” Amethyst Arsenic. Somerville, MA: Summer 2013. “Expectation.” Dr. Hurley’s Snake-Oil Cure. Boston, MA: February 2012. “Small Berries.” Million-Line Poem. North Adams, MA: Tupelo Press, Fall 2011. “Without Representation.” Poets for Living Waters. Brooklyn, NY: Summer 2010. “The Figure,” and “At Bougival.” Catamaran. Storrs, CT: Spring 2007. “Didgeridoo, a Bird.” The Dudley Review. Cambridge, MA: Spring 2007. “The moon had jackknifed.” Crab Creek Review. Seattle, WA: February 2007. “Fall all that Glitters,” and “Late December, Walnut Creek.” Chrysanthemum. Seattle, WA: Spring 2006. “Napalm, 1972,” “For Otis and Charles,” “Paper Men,” and “Christina’s World.” Objet d’Art. New Brunswick, NJ: 2003-2004. Cracklers at Night (poems). Georgetown, KT: Finishing Line Press, 2010.